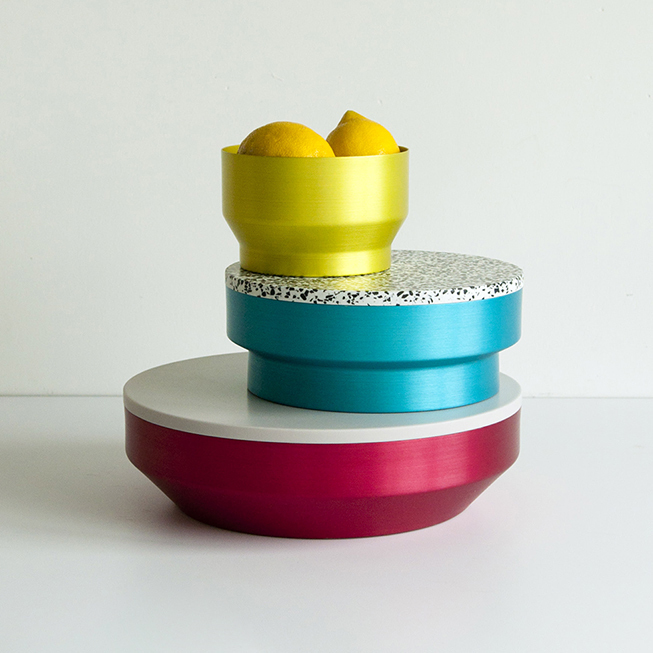 The Summer Bowls were inspired by the colors and tastes of ice cream. 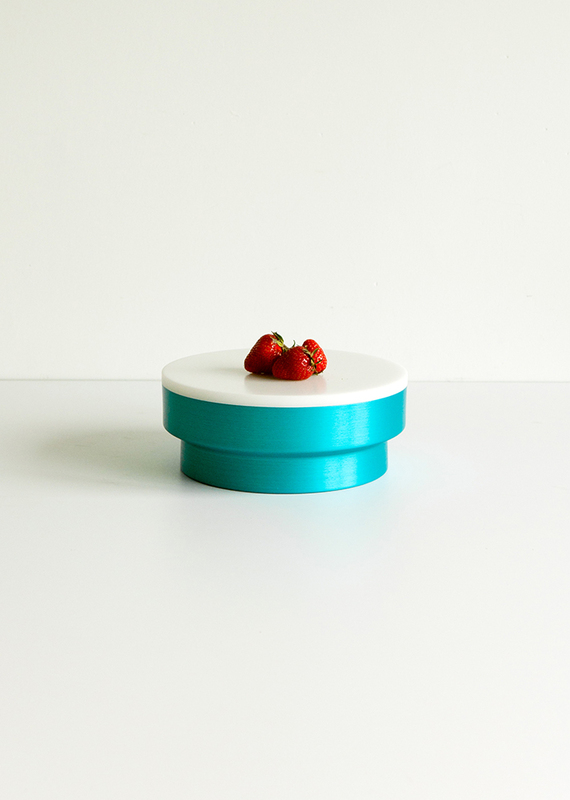 We thought of summer, sun, flowers, milky tastes and fruity flavors, ice cream parlors and the funny hats of the ice-cream vendors…These containers are made for a variety of things like fruits, bread, vegetables, jewelry, keys etc. 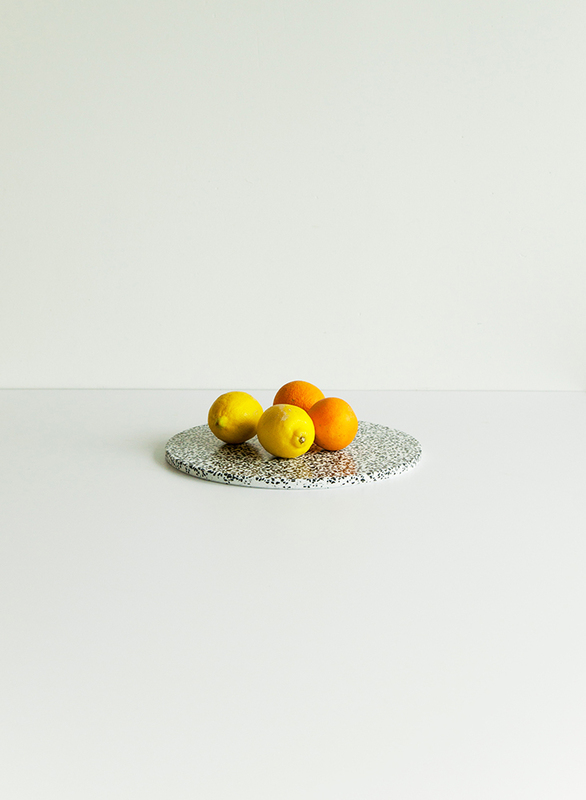 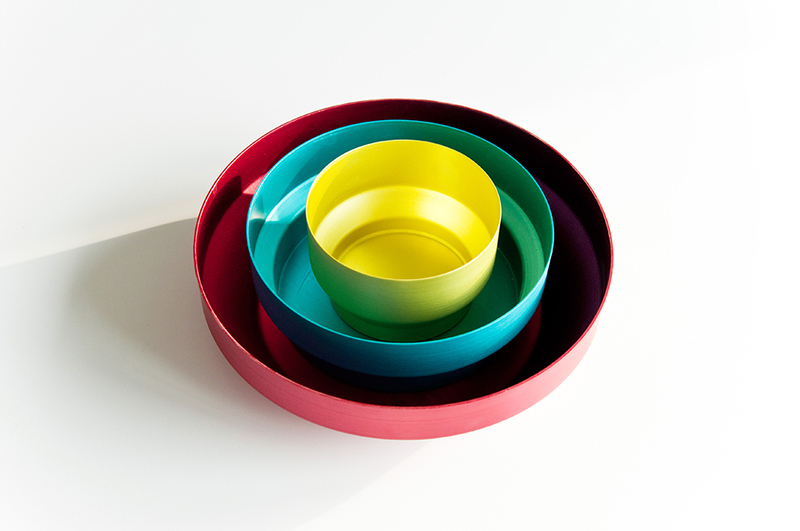 The bowls were hand-made by a metal spinner from brushed anodized aluminium. 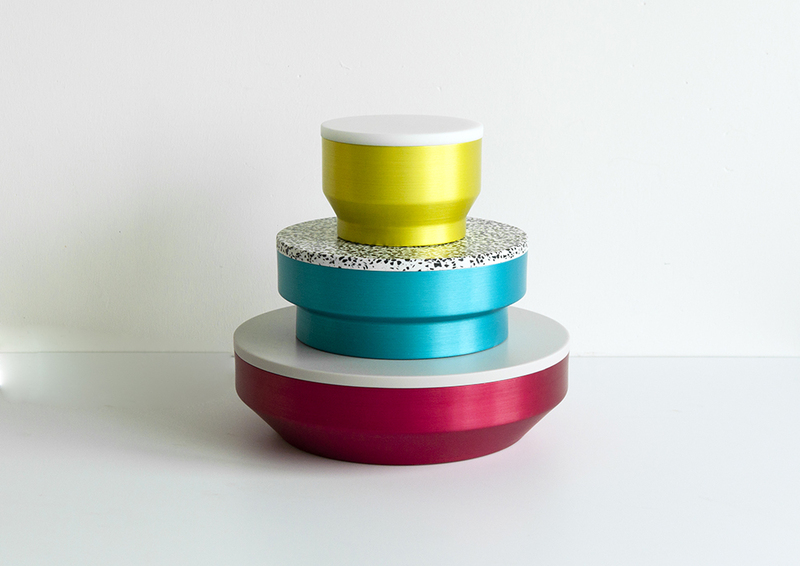 The lids are made of Hi-Macs, were CNC cut and polished by hand.